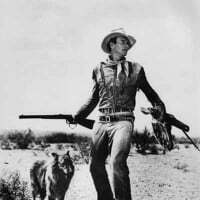 There were 16 Jungle Jim feature films released theatrically in the U.S.A. between 1948 and 1955. There was a previous thread that included this subject, but due to all the images that were displayed being no longer available, due to Photobucket removing them all, I have opened this new thread with extra information available. Above is the original U.S. one sheet of Voodoo Tiger and the original Australian daybill of Voodoo Tiger, showing the credits. 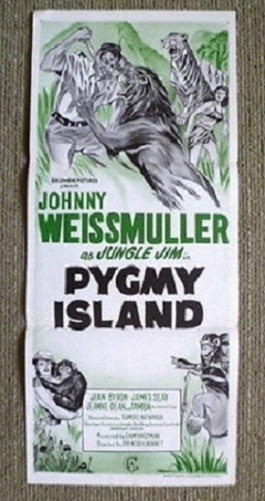 In circa 1967 an unknown number of Jungle Jim films were re-released in Australia, including the four at the top with Savage Mutiny as well and possibly there may have been others as well. As the films had not much likelyhood of making much in the way of financial return, Columbia Pictures apparently decided to produce a cheap generic daybill to cover all the films that they planned to re-release. 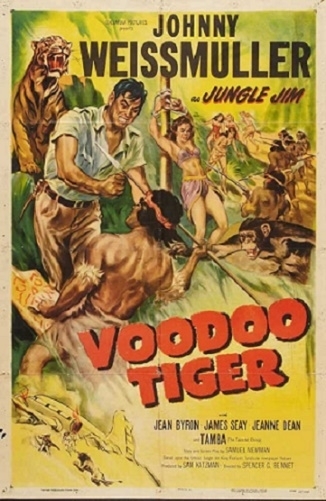 Columbia, for whatever reason adapted the original Australia design of Voodoo Tiger to cover all titles planned to be included in the re-release. 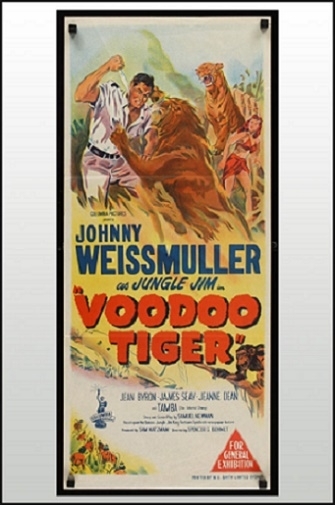 This sounds like a great decision, but instead of making it a stock poster, with no cast credits on the bottom, and just the design and Columbia Pictures presents Johnny Weissmuller as Jungle Jim on the poster, and then print the individual film titles on the poster as required, which would have worked, some nitwit decided to include all the Voodoo Tiger credits. This would have to be the greatest stuff up I have ever seen with Australia film poster printing. Maybe they thought the children who would read the posters at matinees wouldn't know the difference. I was involved in a children's matinee commercial screening on 16mm where a reel was left out ( long Story ) of a film screening, and no complaints were received by any patrons after the screening.